Would you like to inspire and influence others? 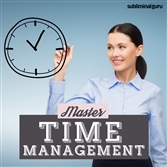 Want an easy way to acquire the skills to lead from the front? Great leaders are respected and valued. They know how to get people to tow the line, encouraging them when they need it, taking their opinions on board, letting them know who's boss and always staying in total control. 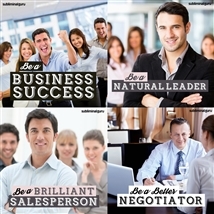 With the Be a Natural Leader subliminal session, you'll unleash your natural qualities for management and control! 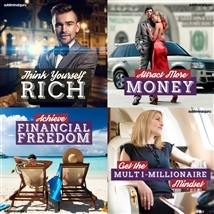 As you listen, thousands of powerful positive affirmations will infuse your mind, helping you steer others on the right course. 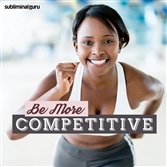 You'll start to become more confident in your leadership abilities, taking the reins like the can-do person you are. You'll feel secure in the decisions you make, knowing you're always acting in other people's best interests. Become a super effective leader! 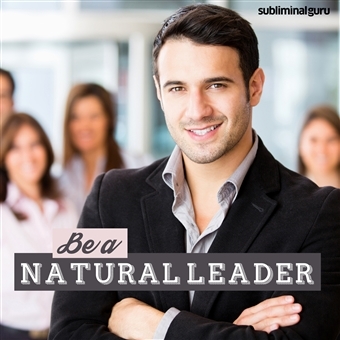 Download the Be a Natural Leader subliminal audio now to become the talented trailblazer you always wanted to be. I am confident leading from the front. People look to me for guidance. My leadership qualities get stronger every day. Being a leader is natural for me. I take charge and keep things organized. I communicate clearly and efficiently with others. My decision-making skills are first rate. I inspire others to do their best. I am a charismatic and dynamic leader. I am destined to be a great leader. My leadership skills help others reach their goals.